Shippers remain unconvinced of the justification for the size of the surcharge ocean carriers are proposing to cover the cost of compliance with the IMO’s 2020 0.5% sulphur cap regulations. One forwarder source told The Loadstar he had already had visits from two of carriers, but was “less than satisfied” with the basis for the new surcharges. “And they are trying to introduce their new BAFs a year early, despite fuel prices falling at the moment,” he added. 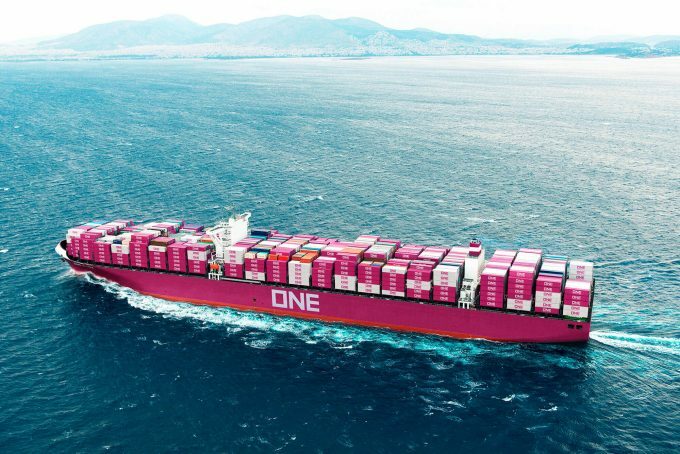 The merged Japanese carrier Ocean Network Express (ONE) has joined several of its peers in publishing details of its revised bunker surcharge mechanism, which it dubs OBS (ONE bunker surcharge). And in keeping with its peers, ONE is proposing to roll out its new surcharge mechanism on 1 January 2019, a year before the IMO regulations come into force. ONE said that although it was still “carefully considering other possible options”, such as exhaust gas cleaning systems [scrubbers] and converting ships to run on LNG, after “exhaustive studies” using low-sulphur fuel oil (LSFO) was the “most realistic and cost-efficient, short-term solution” to be compliant. ONE said it expected to start bunkering its ships with LSFO in the fourth quarter of next year, due to the length of voyage time of its services. In terms of the fuel price base from 1 January 2020, the carrier said this would be calculated on the past three-month average at key bunkering ports around the world. For example, based on the cost of Rotterdam-sourced LSFO at today’s price of $550 per ton, ONE’s OBS from Asia to North Europe on 1 January 2020 would be $306 per 40ft container. “The new OBS will apply on all new contracts which commence on 1 January 2019 and be valid until further notice,” said ONE. It added that for contracts that run over that date, its previous BAF surcharges would remain until the expiry of the contract. Fuel prices have slumped by a quarter in the past six weeks and heavy fuel oil (HFO) is currently down to around $380 per tonne, however the start point on ONE’s OBS simulation matrix is set at $500 per tonne. By comparison, MSC has set its BRC (bunker recovery charge) start point at $400 per tonne, giving an applicable surcharge from 1 January next year of $248 per 40ft. Interestingly MSC’s BRC at a base level of today’s price for LSFO of $550 per ton comes out higher than ONE’s in its Asia-Europe “explanatory examples” at $341 per 40ft. However, there seems to be a census among carriers of the extra cost for fuel they need to be budgeting for in 2020 and thus recovering from their customers. According to Maersk and MSC, $2bn of extra costs will hit their bottom line, while the smaller carrier Hapag-Lloyd has estimated an extra $1bn. One analyst The Loadstar spoke to said that, on the basis of Maersk, MSC and Hapag-Lloyd’s liftings, they appeared to be working on allowing an additional $100 per teu to cover the extra cost of bunkering with LSFO. “Their difficulty will be in justifying the actual extra cost of compliant fuel against their new BAF formulae,” he said. Market Insight Exclusive with Jeff Rubin: Nexus of evils – what happens when oil, globalisation and the environment collide?